It was riled by the scale and location of NATO's Trident Juncture manoeuvres - despite having itself conducted several massive military exercises in the Baltics recently. And Moscow is known to be avidly experimenting with ways to disrupt military forces - and the global economy - through sabotaging or destroying the now vital GPS navigation network. "It is possible that Russia has been the disrupting party in this," Finland's Prime Minster Juha Sipila told local media overnight. "Russia is known to possess such capabilities." The airfields ranged from Kirkenes, on Norway's border with Russia, to Lyngen in Troms, much further west. The airline said its aircraft carried alternate navigation systems, so passengers were at no time in danger: "There are no security risks, we have good routines and this is not the first time we have experienced loss of signals," it said in a statement. But Norways' civil aviation authority, AVINOR, has issued a safety notice warning all pilots of "irregular navigation signals" over eastern Norway and Finland. "It is difficult to say what the reasons could be, but there are reasons to believe it could be related to military exercise activities outside Norway's (territory)," the director of AVINOR told local media. "For safety reasons, we issued it for an expansive enough area so that pilots could be prepared not to rely solely on a GPS," an ANS spokesman said. Militaries the world over regularly practice 'electronic warfare', which involves the jamming of everything from radio communications and radar through to satellite signals. But, as with all 'live fire' exercises, threat warnings are issued and exclusion spaces declared. This didn't happen over Norway or Finland, or the Russian territory which borders the two nations. Trident Juncture involved all 29 NATO alliance members. Neutral Sweden and Finland also took part amid growing uncertainty over Russia's ambitions in the tense region. "If your offensive military capabilities rely on GPS, guess what the adversary will try to do?" Hans Kristensen, director of the Nuclear Information Project at the Federation of American Scientists, said in response to the latest reports of GPS interference in Finland. And it's not the first time Russia has been linked to the disruption of GPS networks. The US Federal Aviation Authority last month issued a warning to US aircraft flying over the eastern Mediterranean region of the increased threat of Russian electronic warfare jamming: "be aware of possible loss of GNSS (global navigation satellite system) signal within Beirut FIR (flight information region) due to unforeseen reasons" . Similar disruptions were reported on the Norway-Russian border earlier this year. In October last year, Norwegian forces reported 'electronic disturbances' - including the loss of GPS beacons - in the north of the country. 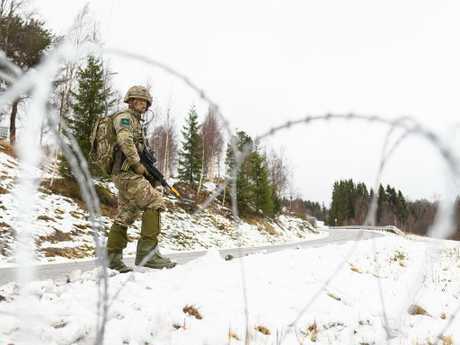 Norways' Ministry of Foreign Affairs was forced to contact Moscow to request jamming exercises along its border be halted due to public safety concerns. 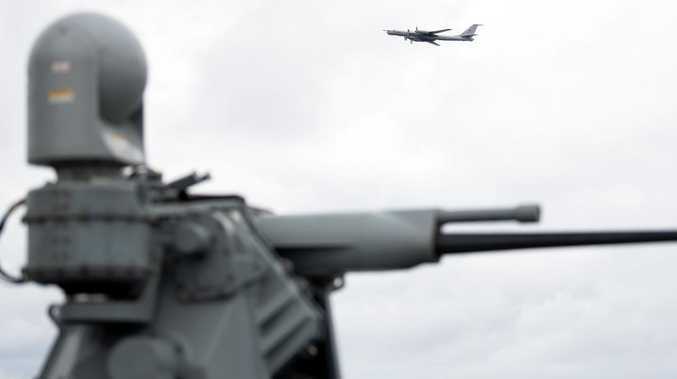 "It was a large military exercise by a big neighbour and it disrupted civilian activities including air traffic, shipping, and fishing," Norway's defence minister Frank Bakke-Jensen said at the time. Russia has developed jamming equipment that can distort GPS signals over a wide area. Its R330Zh jammer reportedly disrupted flights some 250km on the Norwegian side of the border with Russia. But its troops are also equipped with handheld GPS jammers that can affect receivers out to an 80km radius.